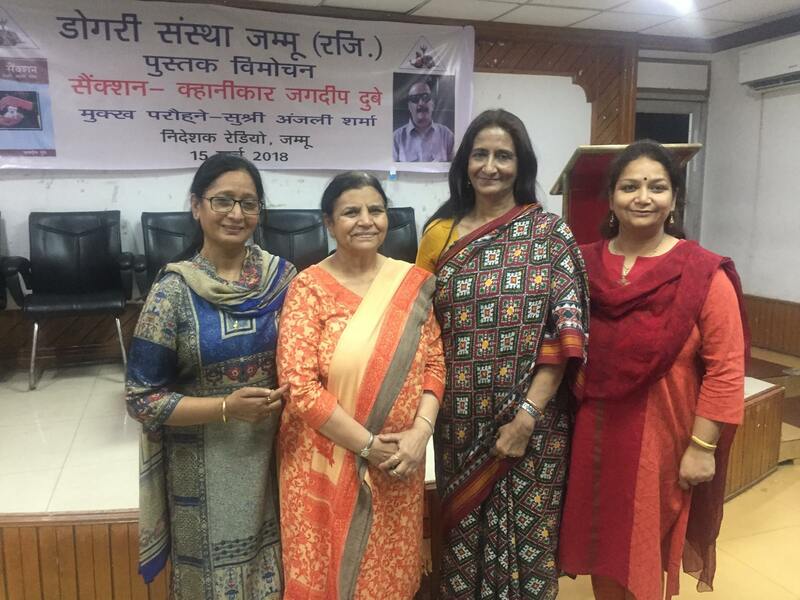 Dogri Sanstha, today released a book on collection of short stories by well-known playwright and theatre artiste Jagdeep Dubey. 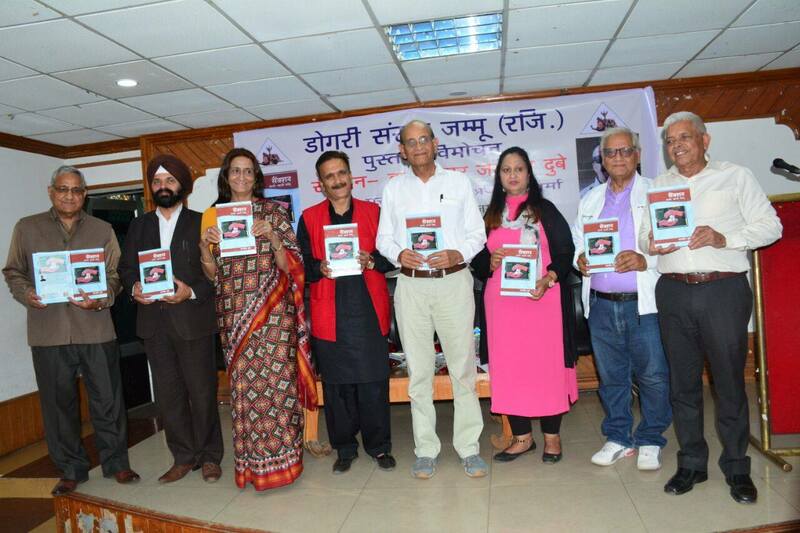 Titled ‘Sanction’, this is the first collection of short stories published by Dubey, who hails from Udhampur. The release function was held in K.L. 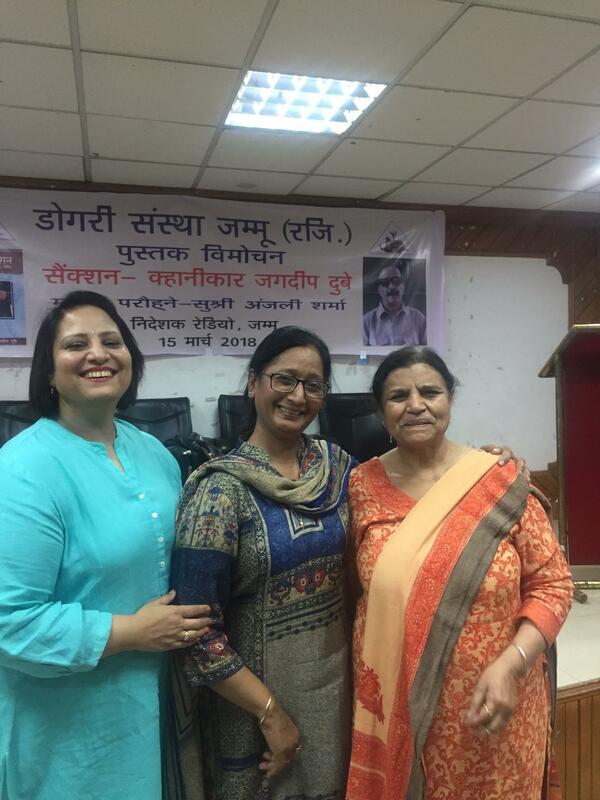 Sehgal Hall, in which Anjali Sharma, Director, Radio Kashmir, Jammu was the Chief Guest. 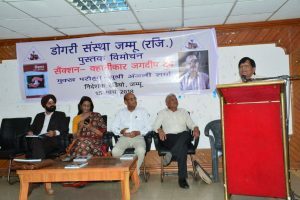 Three veteran short story writers – Chhatrapal, Prakash Premi and Dr. Adarsh presented their critical and appreciative views on the released book. 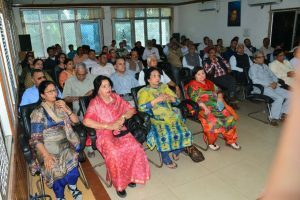 A large number of writers, artistes, theatre activists and prominent citizens from Jammu and Udhampur were present in this impressive function. 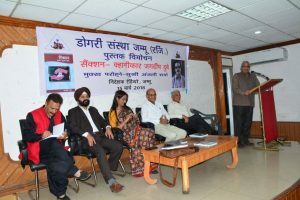 Anjali Sharma, Director, Radio Kashmir, Jammu, while speaking on the occasion, said that she had known Dubey, as a prolific playwright, who wrote numerous radio and television plays, which were very popular and earned local and national acclaim for the writer, but she has been pleasantly surprised by the publication of this collection of short stories, which she hoped, like his radio and stage-plays would be liked by the readers. 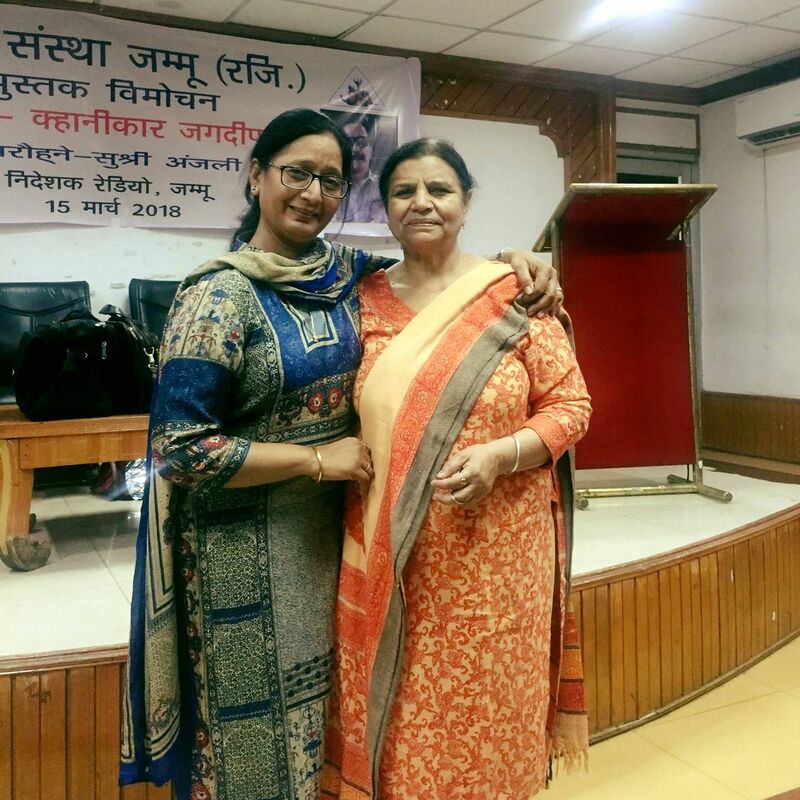 She complimented the author for his efforts and Dogri Sanstha, the premier literary organization, which provides platform for all writers. 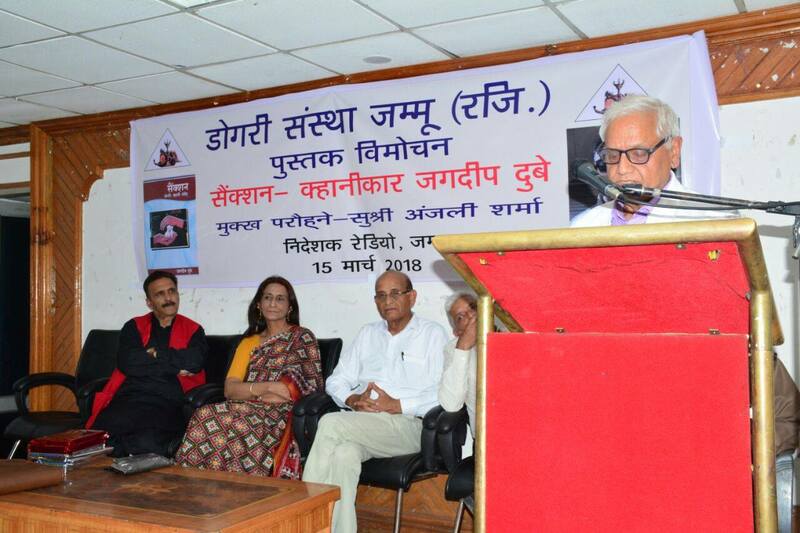 Earlier, Prof. Lalit Mangotra, President of Dogri Sanstha, who himself is a well-known short story writer and who has also written foreword of the book, highlighted the merits and uniqueness of the stories penned down by Dubey. 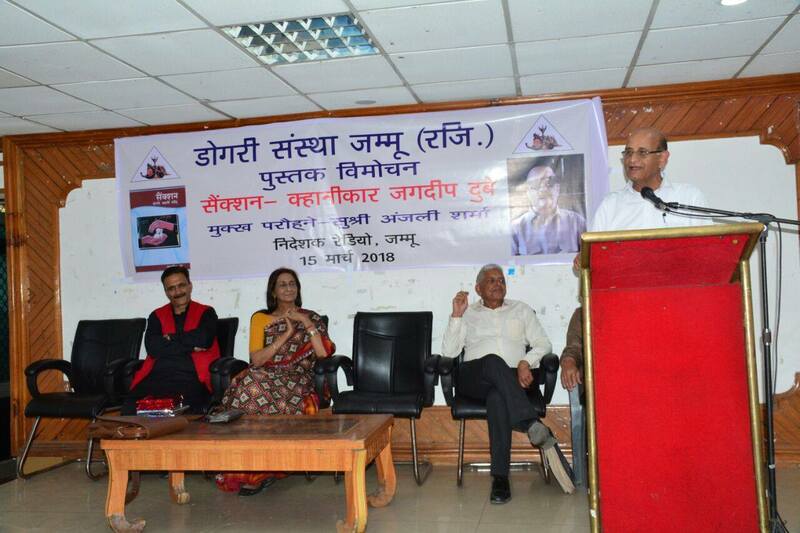 He said that Dubey’s stories border between the realism and surrealism. In addition to living people, inanimate objects and animals also become characters of the stories, which give wholesomeness to the stories, which is not found in the stories of any other writer. 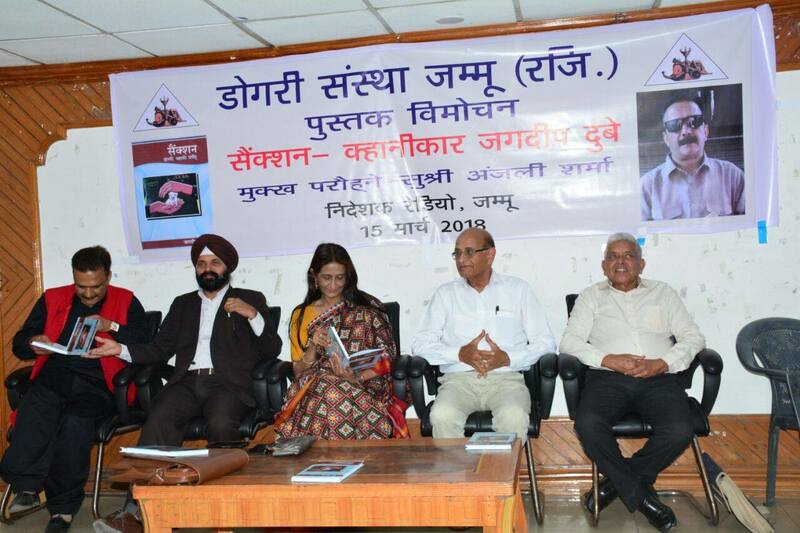 The author is very imaginative and innovative in creating the situations and usage of language. The scholars, who spoke on the book, termed this book as a special gift to Dogri literature. 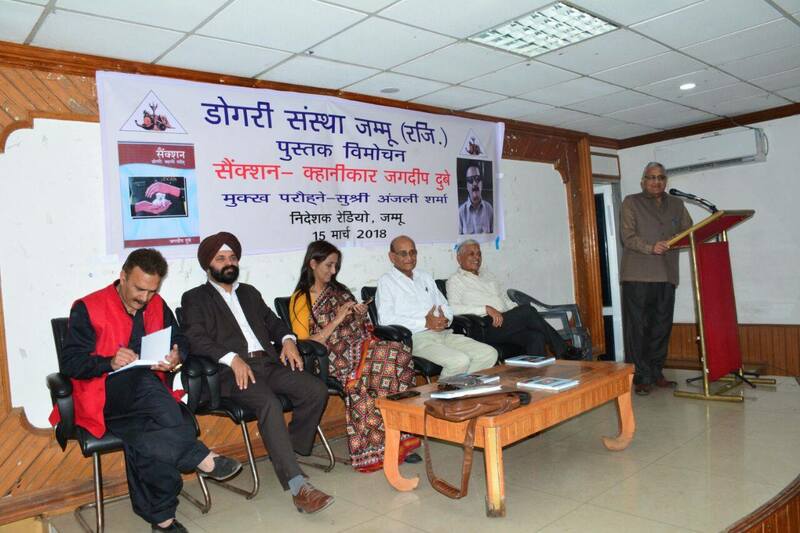 Jagdeep Dubey read a short story from the released book and shared his experiences of writing it. 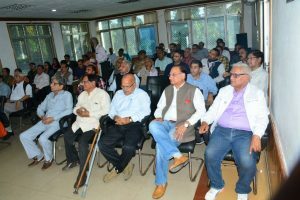 Dr.Nirmal Vinod, General Secretary of Dogri Sanstha, conducted the programme and made appreciative and interesting comments in between. 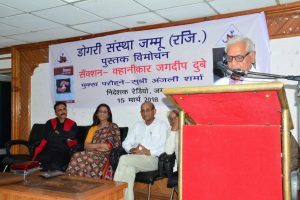 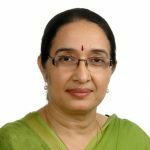 Dr. Chanchal Bhasin, Secretary of Sanstha thanked the audience, media and all others concerned with the organisation of the programme.